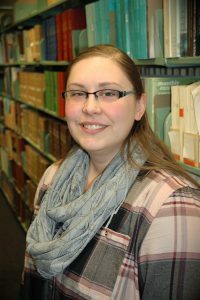 Meet Holli Duggan (pronounced: DUG in) who joined the Library Commission earlier this year as our Continuing Education Coordinator. Holli was born and raised in North Platte and attended UNK where she received degrees in English and Spanish. She received her MLS from the University of Missouri in addition to an MA in Teaching, Learning, and Teacher Education from UNL. She is currently pursuing her Ed.D. in Educational Studies at UNL. Growing up, Holli was always at the library and a favorite childhood author was R.L. Stine. 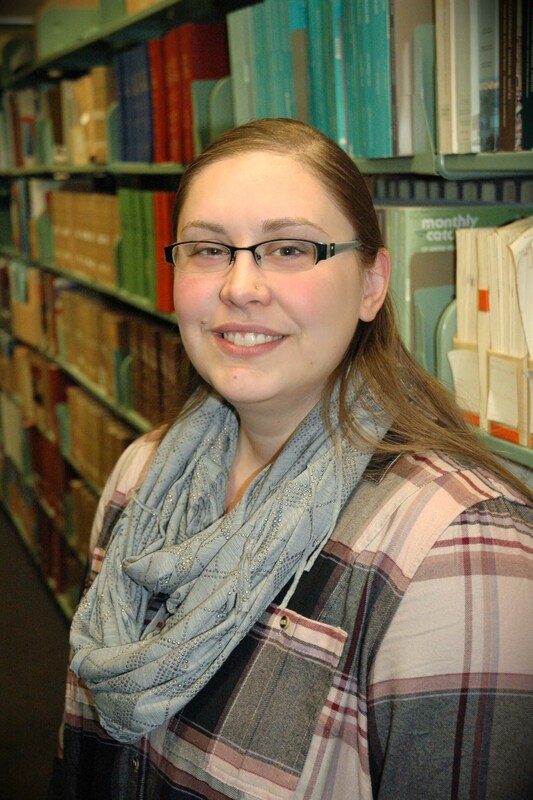 She aspired to be a librarian at a young age and has a resume that includes working at Waldenbooks, the UNK and UNL libraries, the Gere branch library in Lincoln, and Concordia. The most satisfying thing about her current position is helping people find resources to assist them to perform their job better and in turn, help their patrons more efficiently. When I asked Holli what she thinks of when I ask her about the Library Commission, she says it is awesome. She enjoys working together with others to better libraries in Nebraska. If she could switch jobs, she would be a Spanish translator or something science-y. If she won the lottery, the first thing she would do is go to Costa Rica. During non-work hours, Holli is most likely doing classwork for her Ed.D. In the rare free hours, she enjoys reading, watching shows on Netflix, or doing Crossfit. If she could have dinner with anyone she would pick the author Lin-Manuel Miranda because it would be so much fun to talk to him. She fondly remembers that Stephen King’s Pet Sematary was the very first book she checked out of her library from the adult section. Holli shares her home with her husband Zac, a chocolate lab mix named Kyrie, and three cats named, Loki, Beowulf, and Mei Mei. If she could choose two words to describe herself they would be driven and patient. It’s wonderful to have Holli on our team! This entry was posted in Education & Training, General and tagged Continuing Education, Holli Duggan, Library Development, Nebraska Library Commission Staff, New Faces, NLC Staff, Staff. Bookmark the permalink. What a great pair of words to describe Holli: driven and patient. We are so fortunate to work with you at the Library Commission!